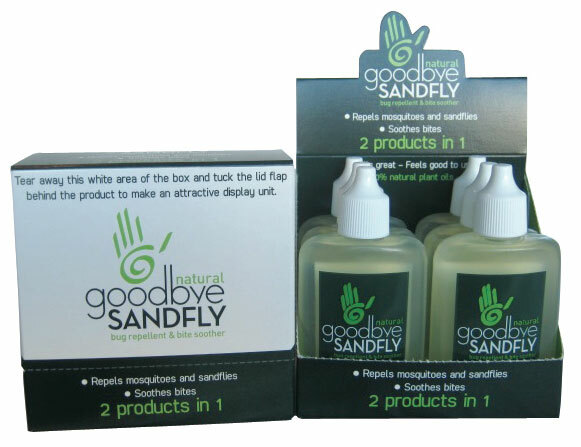 You can live with sandflies, comfortably and happily. 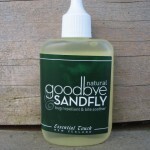 Goodbye Sandfly is proudly and uniquely a New Zealand product. 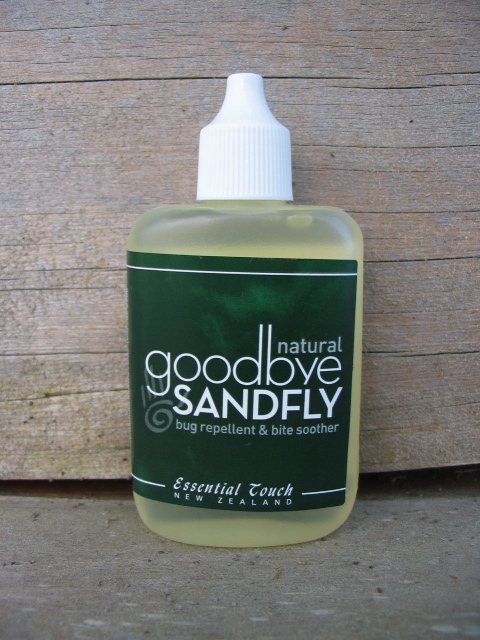 Formulated over a season of guiding canoes on the Dart River outside of Glenorchy in 1999, guests helped create a bug repellent that is effective and smells great. 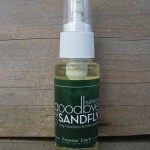 Goodbye Sandfly is a safe and effective natural insect repellent and bite soother.It is made with True Blue Organics Tea Tree oil and 5 other essential oils in a base of sweet almond oil. 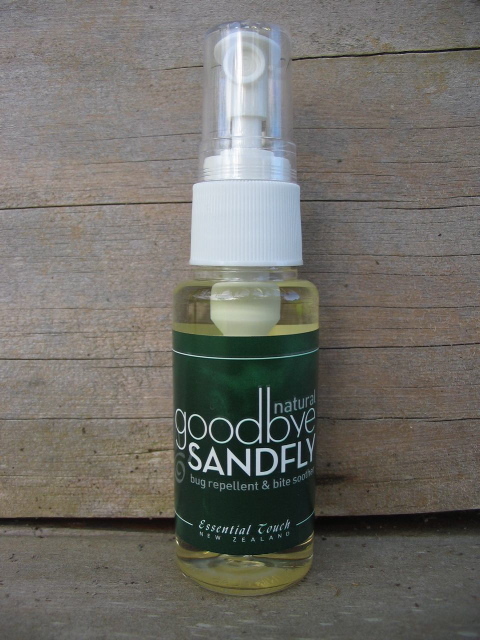 The essential oils provide soothing and antibacterial actions to help the skin heal bites without itching and without blemishes. 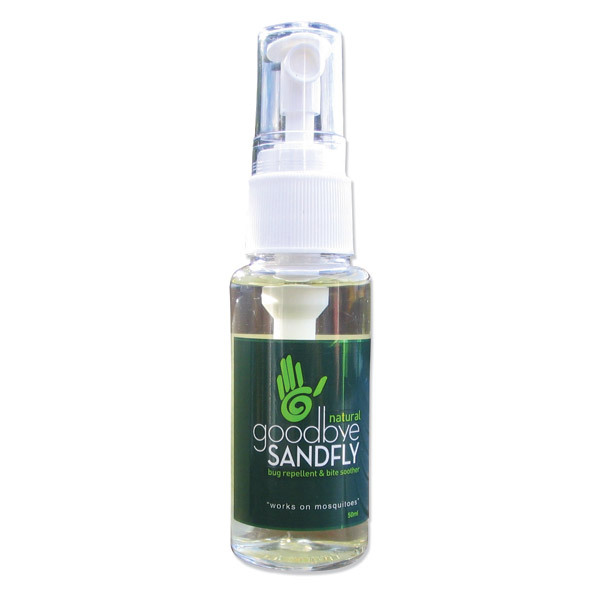 It smells good, is good for your skin, and it works! 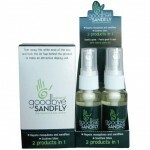 Frequent applications of small amounts produces the best results. 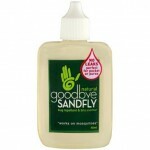 This product can be used safely during pregnancy and for children aged 2 and older.